Download and extract the Xiaomi Mi Flash Tool on your computer. After extracting the Xiaomi Mi Flash Tool. Now, Open the Setup File to install Xiaomi Mi Flash Tool on your computer. Download and extract the Xiaomi Stock Firmware (fast boot files) on your computer. After extracting the Xiaomi Firmware. Now, you need to install the Xiaomi USB Driver on your Computer (you can also download the Xiaomi USB Driver separately). Turn Off your Xiaomi Device. Now, You need to boot your Xiaomi Device into the Download Mode (fast boot mode). To boot into the download mode: Press and Hold Power + Volume Down button for 6-8 seconds. Once you have booted into the Download Mode. Now, Connect your Xiaomi Device to the Computer using the USB cable. Now, Open Xiaomi Mi Flash Tool from Start Menu. Once Xiaomi Mi Flash Tool is launched. Now, Click on the Select Button and locate the Firmware Folder. Now, Click on Flash Button to begin the Flashing Process. Once the flashing process is completed, you will be able to see the Success Message in Xiaomi Flash Tool. 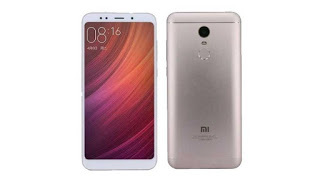 0 Response to "Firmware Xiaomi Redmi Note 5 Pro"